“H Street Main Street, in conjunction with H Street Corridor businesses, will host “Streetcar Stroll and Roll” events on Saturday, July 26 and Saturday, August 23 from 3 p.m. – 7 p.m. to promote the upcoming launch of the District’s first streetcar line and highlight the development of the H Street NE Corridor and it’s vibrant businesses. A number of streetcar style decorated pedicabs will provide the public with free rides along the H Street Corridor from the Union Station to Maryland Ave. NE—the route of the upcoming H/Benning DC Streetcar line. 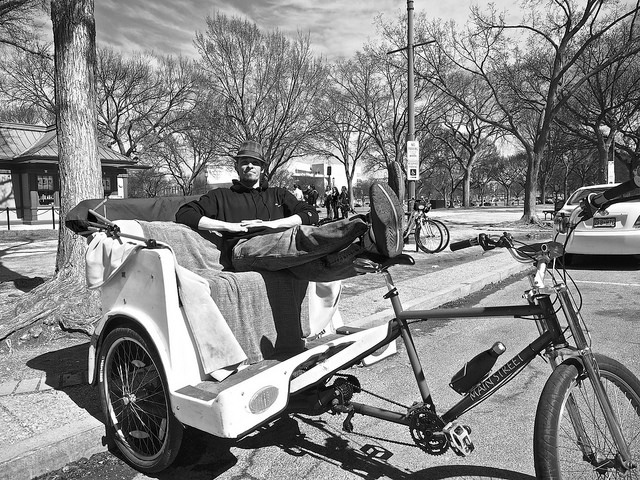 While enjoying the pedicab rides, participants are encouraged to visit H Street NE businesses, restaurants and bars, enjoy displays from local artists that will be featured along the corridor and experience the neighborhood’s unique atmosphere. The H/Benning line will be the first segment of the DC Streetcar system running 2.4 miles along H Street NE and serving residents, businesses, commuters and visitors between Union Station on the west and the Anacostia River on the east. Eventually, the H/Benning segment will be just one piece of the overall One City Line that will cross the city east to west from beyond the Anacostia River all the way to the Georgetown waterfront and facilitate easy travel to the H Street Corridor and other areas of the District.